But of who, how far back and if there is any connection among those across the globe doing the practice. I have a strong affinity to the idea of very early use of trans- ocean trading. This would take star gazing navigators. Was this type of skull common among the early Egyptian or Babylonian priests? They were the star gazers of old and may have been worthy on imitation even to the point of exaggeration. Circumcision was practiced by the Egyptians before the Exodus. now you are being coy about clarifying "those-whose-existence-is-recorded-in-universal-memory-but-who-are-not-to-be-mentioned-because-the-current-paradigm-does-not-admit-that-they-could-have-been-here-among-us. " Dorothy Parker once reviewed the performance of a Broadway actress as running the gauntlet of emotions from A to C.
Which about describes your intellectual horizon. The "jews" borrowed everything else in their so-called bible. Why not that? And still we wait for any aerial evidence or clarity on ""those-whose-existence-is-recorded-in-universal-memory-but-who-are-not-to-be-mentioned-because-the-current-paradigm-does-not-admit-that-they-could-have-been-here-among-us. " . Instead all we get are are content and evidence free personal comments . It's not good enough to say something is a smoke screen or wrong you have to explain why . Let's not forget plagiarism too . But here is a huge difference between that and what the fantasists believe . Why think there is a specific source that explains all the others by diffusion ? It’s a cultural phenomena, like many others found throughout the world in different periods . What is the problem with that parsimonious explanation ? These guys did not seem to need any "aliens" or whatever. The practice survived into the age of color photography. Tiompan wrote: What is the alternative ? "There is no alternative because you and yours adamantly refuse to consider one. " Questioning the credibilty of alternatives doesn't preclude their existence or indicate a refusal to consider them . I keep asking for them but you and Uni won't respond . "You dismiss and ridicule those who do try to consider one. You even obstruct and sabotage them. " Since when is asking for examples obstructing or sabotaging . What is the problem with the parsimonious explanation ? What is ""those-whose-existence-is-recorded-in-universal-memory-but-who-are-not-to-be-mentioned-because-the-current-paradigm-does-not-admit-that-they-could-have-been-here-among-us. " about ? When you don't have one? Could be . Strange behaviour when all that is needed is a classic fantasy followed by the an equally nonsensical "prove it didn't happen " . But there is still "those-whose-existence-is-recorded-in-universal-memory-but-who-are-not-to-be-mentioned-because-the-current-paradigm-does-not-admit-that-they-could-have-been-here-among-us. " That suggests that at least Uni has bought one of the alt. "theories " . uniface wrote: Lilly's put her finger on it. Either of my two ways, it's emulation -- whether that be of the highest status people in that culture or of those-whose-existence-is-recorded-in-universal-memory-but-who-are-not-to-be-mentioned-because-the-current-paradigm-does-not-admit-that-they-could-have-been-here-among-us. Your racist/white supremacist ideology shines through like a beacon. Just look at your example... In your world view whites are the highest status persons in our culture... Therefore all non white persons want to emulate their appearance? Really? 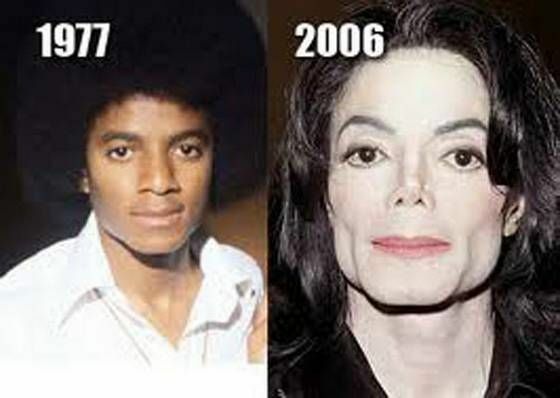 For evidence, Circ, they could produce Michael Jackson. Granted that is one very exceptional case. Hyper and everyday diffusionism is often based on a racist agenda or at least a lack of appreciation of what indigenous peoples are capable of . even Egyptian origin as it wasn’t believed the locals could have managed it . which has been phenomenally successful economically and much less so aesthetically . Still waiting for any argument against the most parsimonious one or even a diffusionist one . Last edited by Tiompan on Wed Feb 17, 2016 11:18 am, edited 1 time in total. Just look at your example... In your world view whites are the highest status persons in our culture... Therefore all non white persons want to emulate their appearance? Really? It was in their worldview (it's one word, precious) that White people were the elite. That's why they bought that stuff and used it. Why don't you run along now and play. Overtaxing your intellect is making you cranky. You are conflating emulation with vanity and neurosis.